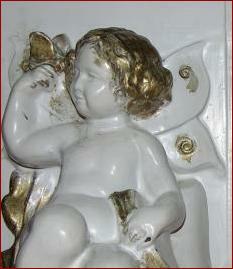 “Butterfly Cherub” — attr. 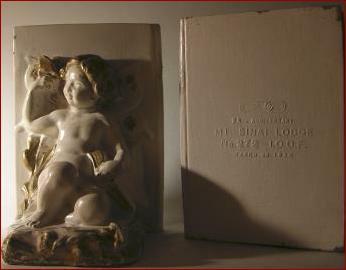 to Ronson - Circa 1930. Polychrome Gray Metal. Measures 6-1/4” high x 4-1/2” wide x 4-1/2” deep. Weighs 7 lbs. the pair. 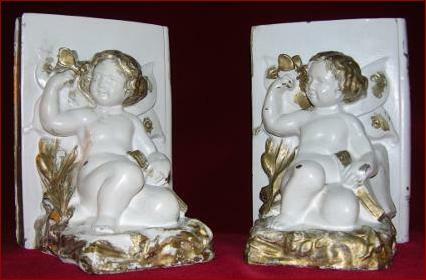 Ronson originally created this pair of rare bookends around 1924. These are not signed and were probably special ordered from Ronson to celebrate the 25th anniversary of the Mt. 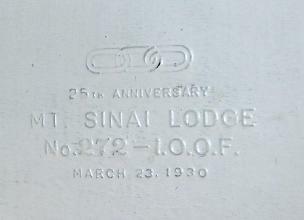 Sinai Lodge in 1930. 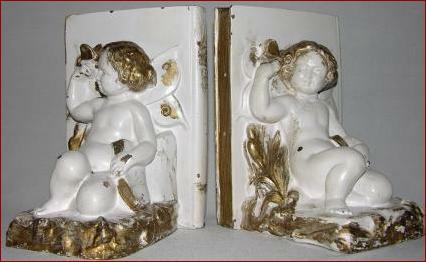 Some paint chipping and felt missing from one bookend. Otherwise in good condition.